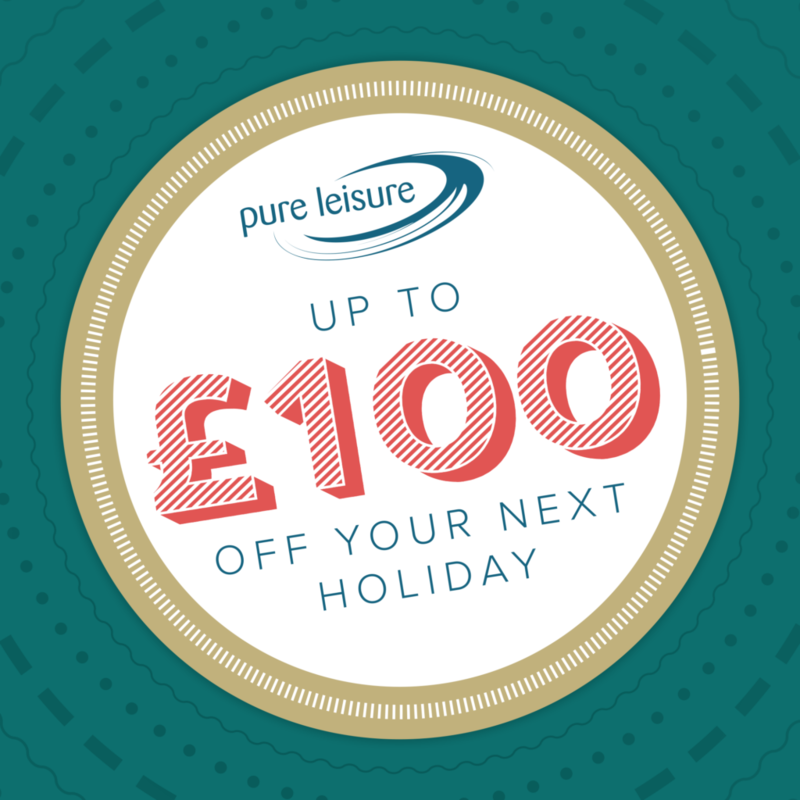 Up to £100 off your next Holiday! For more information or to book your stay call us on 01524 917311 or click the button below. Terms and Conditions: Subject to availability. For Arrivals in March, June, November and January, 4 night minimum stay. Monday to Friday Short Breaks Only. Book by 1st June 2019. Available at Borwick Lakes, Bowland Lakes Leisure Village, Billing Aquadrome, Bridlington Links, Fell End Holiday Park, South Lakeland Leisure Village, Tydd St Giles Golf and Country Club and The Yealands. Does not include arrivals on a Friday unless staying for 7 nights. Not to be used in conjunction with any other offer.